(Reuters) - New York state joined New York City in suing package delivery company FedEx Corp for allegedly violating state and federal laws by illegally delivering contraband cigarettes to people's homes. The City of New York had sued FedEx last December, accusing the company of creating a "public nuisance" through its partnership with Shinnecock Smoke Shop to ship untaxed cigarettes to homes. An amended complaint filed on Sunday included the State of New York Attorney General Eric Schneiderman among the plaintiffs, and sought more than $239 million in damages and penalties. The New York state alleged that FedEx knowingly shipped nearly 400,000 cartons of unstamped cigarettes to homes in the state, depriving it of $15, $27.50 or $43.50 on each carton in tax revenue. The New York city had earlier alleged that the company deprived it of excise tax of $15 per carton. "The claims advanced in the Amended Complaint by the NYAG are substantively identical to the City's claims in the original Complaint," Assistant Corporation Counsel Eric Proshansky, who represents the New York City in the case, said in a letter on Sunday. "Accordingly, the proposed objections to the pleadings raised by FXG (FedEx Ground Package) should still form the basis for discussion at the April 9th pre-motion conference." 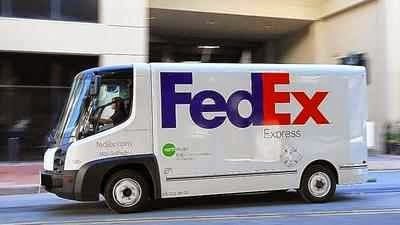 FedEx requested the court last week to dismiss or substantially narrow New York City's complaint. Schneiderman's office and FedEx were not immediately available for comment outside regular business hours. The case is City of New York v. FedEx Ground Package System Inc et al, U.S. District Court, Southern District of New York, No. 13-09173.